[SPEC and PRICE] Mas Hino NYC JAZZ BASS pickups | Mas Hino NYC NEWS! We present Jazz bass pickups that you couldn’t get unless you get a Mas Hino NYC jazz bass and now you can have the same tone as Mas Hino NYC’s slow scattered wound Jazz Bass pickups in your instrument. Here is 5 styles you can choose from! Mas Hino started to make his own pickups 5 years ago, because he was not happy with the pickups that is available today. 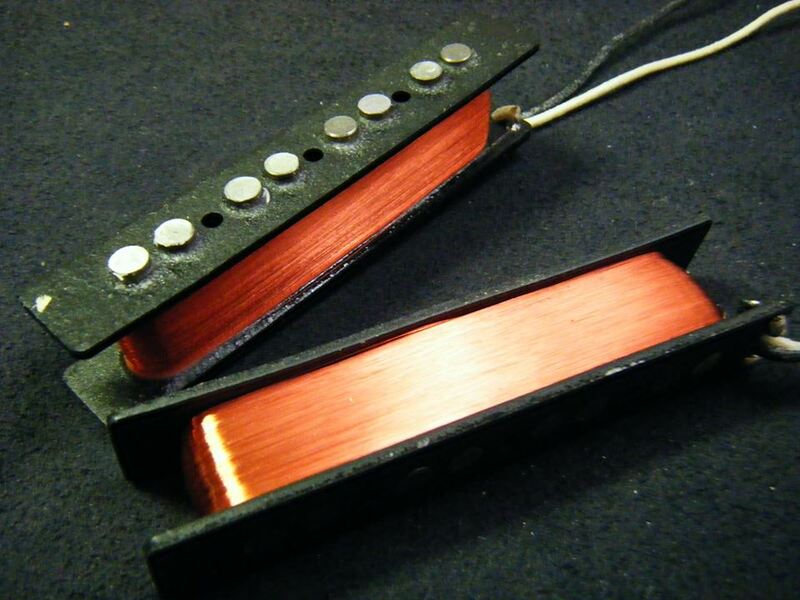 So he started to make pickups and found that it was much easier to design a tone for his instruments. Also for his instruments he makes the pickups according to the wood, scale, design of the instruments. Mas Hino’s pickups are slow scattered wound, and they are all hand wound by Mas Hino himself. The slow scattered wound makes more air in the pickups making sound more like the vintage pickups, and they are all double dipped in wax for feed back and Microphonics. and they are wounded same turns for both pickups. This is the fat jazz bass pickups with alot of mids, but clear tone, and great for passive jazz bass! We higly recommend “Copper foil around the coil for shielding and shielded cables”! This entry was posted in Mas Hino NYC Pickups, Spec & Price and tagged Bass, Mas Hino, Mas Hino NYC, MasHinoNYC, pickup. Bookmark the permalink.